disagreements that make some of our set-tos about how to code sound trivial. landslides, but apparently the risk was not widely publicized. believe that data is available from the USGS. for widespread application in OSM, even though I would enjoy seeing it. >tagging list than on the HOT list, but anyway. >right preprocessor, it can get rendered on the map anyway). >So that doesn't belong in OSM, but it isn't the biggest problem IMO. >most we would be able to do is some mapping from aerial pictures. >shouldn't have very high expectations from it. 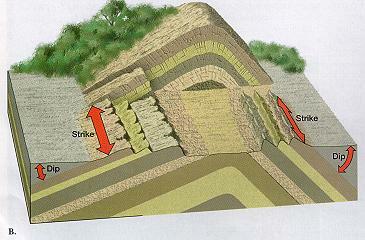 >I'd like a recommended way to tag fault lines and surface geology polygons. >that would allow experts to quickly and easily make these things. >faults over and over again). 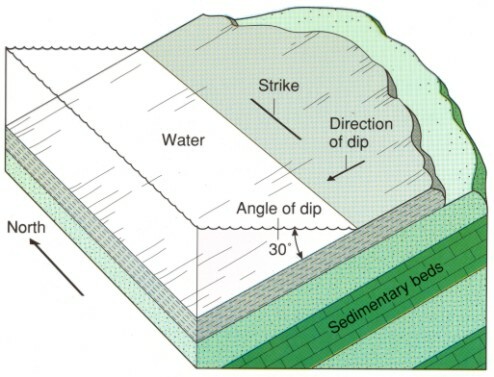 If you map areas of shallow bedrock vs.
>names (e.g. "the Tunbridge Wells Sand Formation"). >obviously exist in 3-D, but are usually represented on 2-D maps. >Just mapping the 2-D trace is enough for many purposes. >arrows pointing in the two or three downhill directions). >I don't know of a good video. We could make one. >Let's look at the Weald area of the UK, since it is well-mapped. >The cross-section may help make the 2-d map make sense. >(just gives rock ages, not type). >classes we have (sand, gravel...) would be enough to start with. >upload their maps is therefore low. Classes of students could do it. >End infodump, requests for clarification and corrections welcome. >dip direction and inclination) would be very useful.